Happy New Year 2013. Just a beginning for the new year, wish everybody plenty of luck in this year. 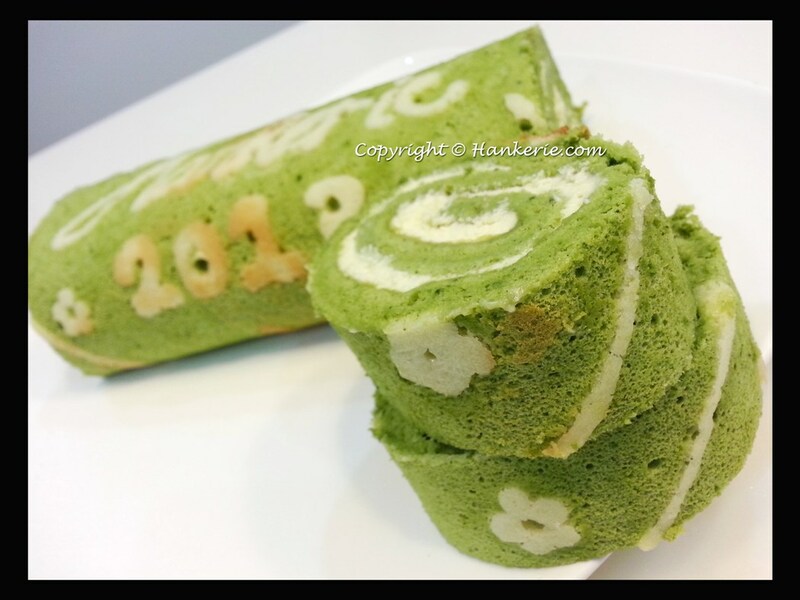 With the love of go green concept, I incorporate the idea into my 1st year 2013 bakes - green tea swiss roll. 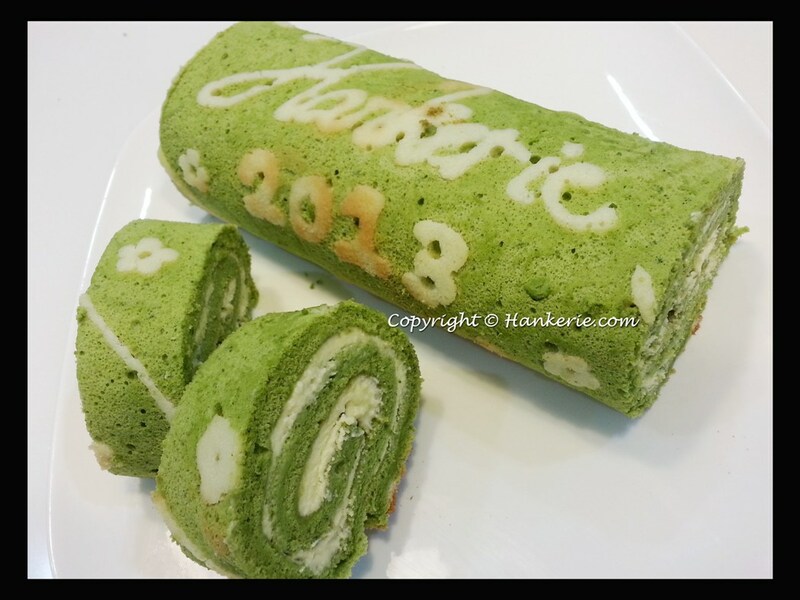 Absolutely love the natural colour of green tea, despite of using pure pandan extract this round as green tea will definitely bring out more vivid colour into the bakes. Whenever drinking the green tea ice blended, everyone starts to relate the sweet red bean into it. I omit the red bean this round as my husband do not like the combination of red bean with green tea. 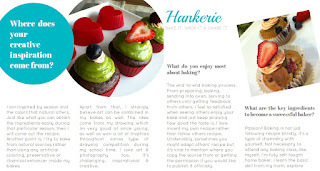 By using the free-hand drawing my Hankerie brand onto the cake, I also added on the year 2013 as the trademark of this year. With the remaining butter mix, I've piped the additional lines and flowers around the cakes too. My first mission of this year is to conducting the market survey for home bakers, I would really need your input to provide me the feedback. Kindly click on the link here. Mix well with all the 1st ingredients above. Pipe the decoration that you would like on the swiss roll baking tray. Refrigerate it while making the basic swiss roll. Omit vanilla extract. Mix the green tea powder into flour mix. Send into oven for 12 minutes. 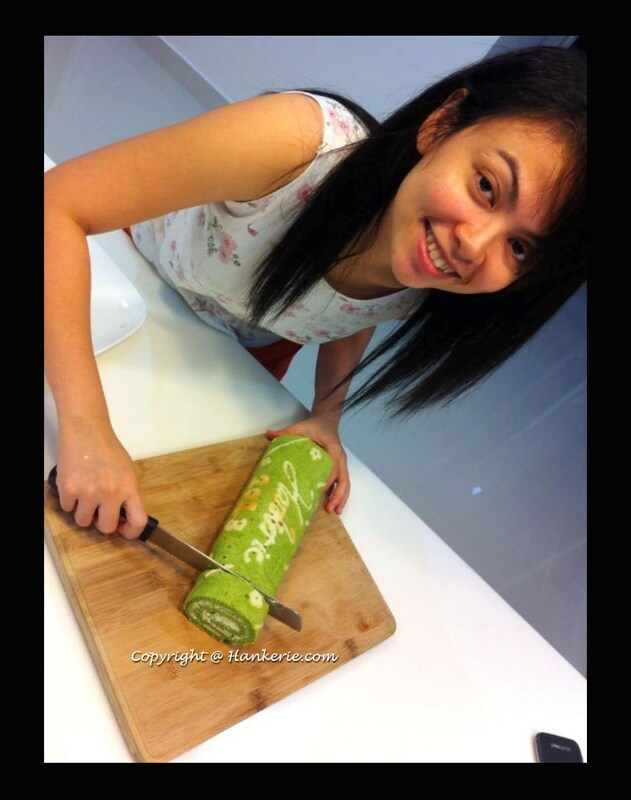 Cool the swiss roll after baked. Pipped the whipped cream and roll it. Wishing you A Blessed year 2013. Your instruction in your butter mix deco stated to mix well all the 1st ingredients. Could you elaborate more as to how to go about doing the butter mix deco. I doubt I can just follow your instruction to mix well without cooking the ingredients. Could you provide step by step method to do the butter mix? Hi! Very interesting and clever idea to have the wordings on the swiss rolls! 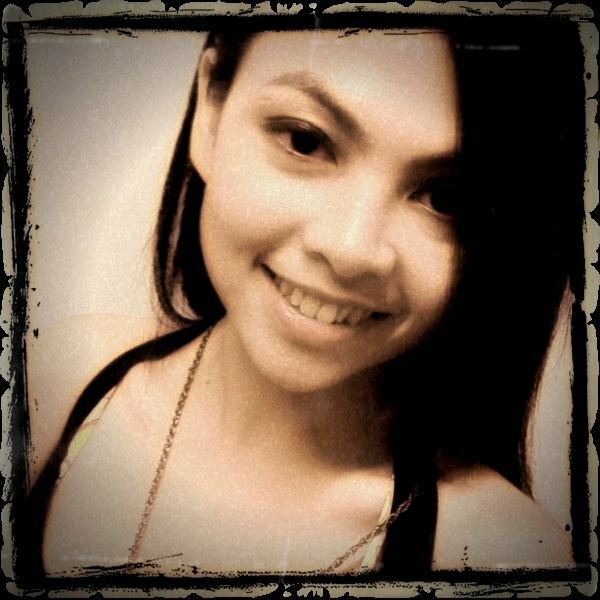 @ Priscilla Poh: Thanks for dropping by and wish you Happy New Year 2013 to you too. Yes, the butter mix do not require to cook, all the butter mix required to mix well together with mixer in order to pipe it out. Due to the egg white portion is small, I will suggest to you to whip that egg white first then follow with the rest of ingredients. @ Chef and Sommelier: Thanks for your compliments.